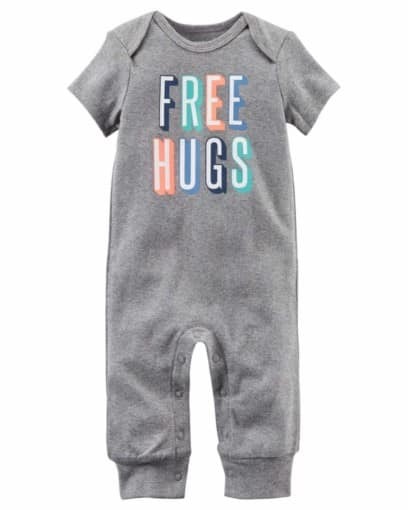 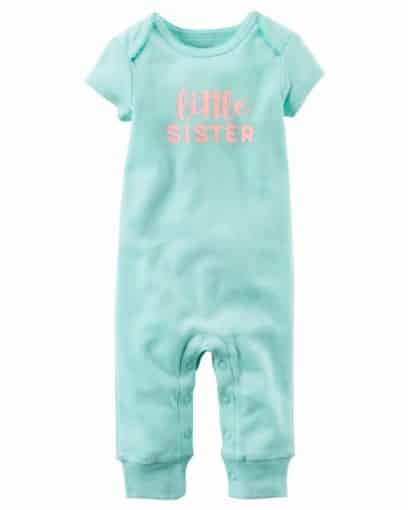 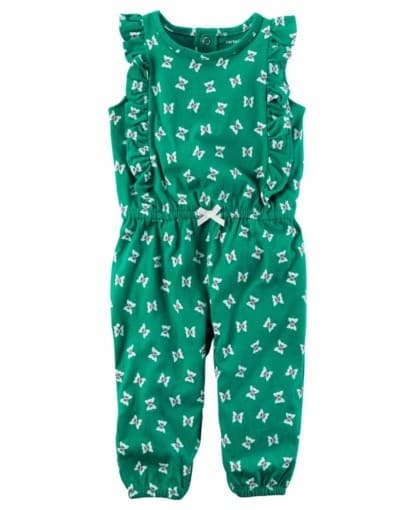 Crafted in soft cotton with expandable shoulders , This sweet Jumpsuit is a tummy time favorite . 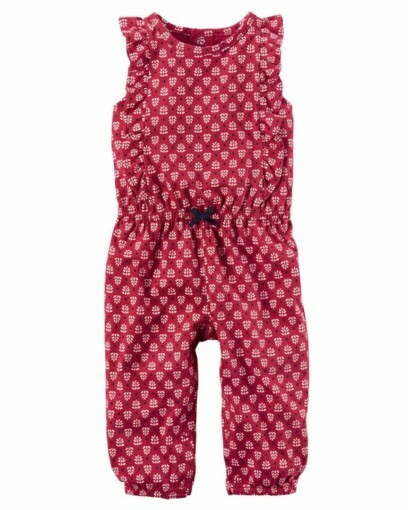 One piece design keeps dressing quick and easy . 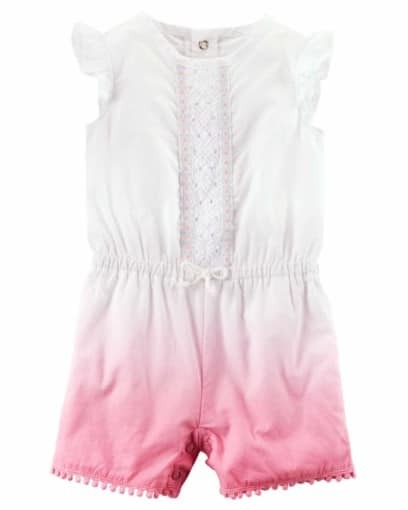 With flutter sleeves, a cinched waist and on-trend dip dye design, she’ll be playing in style in this easy-on romper! 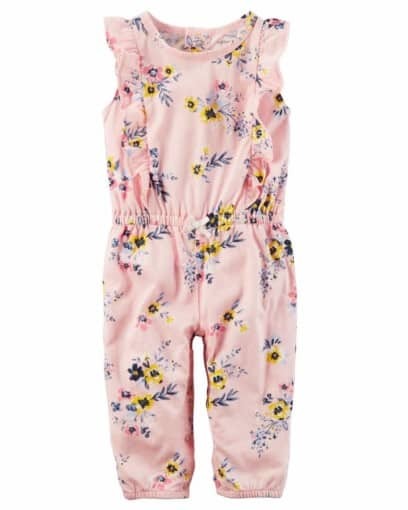 Designed with a cinched waist, this floral romper is super cute for spring. 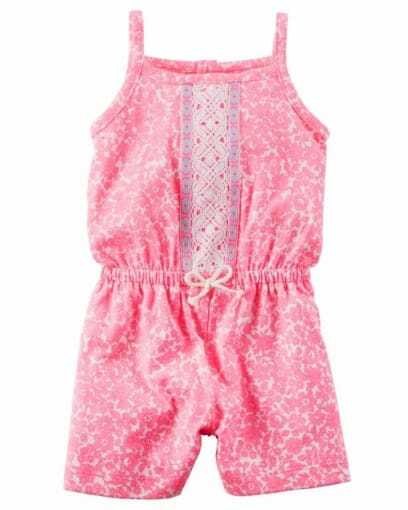 Plus, getting dressed is a snap with an easy 1-piece! 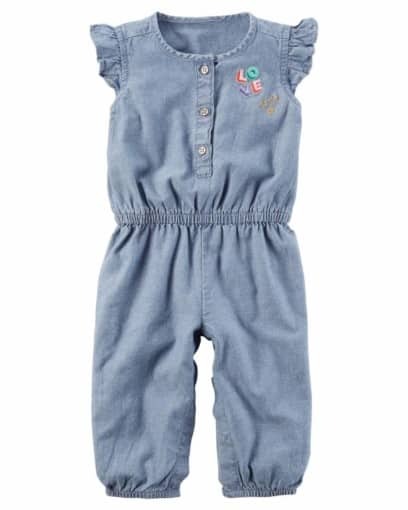 Designed with a cinched waist, this chambray romper is super cute for spring. 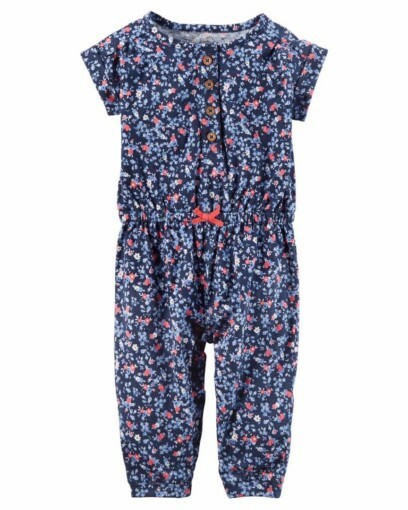 Plus, getting dressed is a snap with an easy 1-piece! 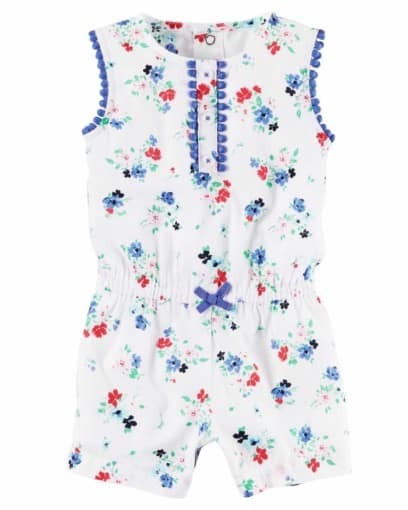 Designed with a cinched waist, this Hawaiian romper is super cute for spring. 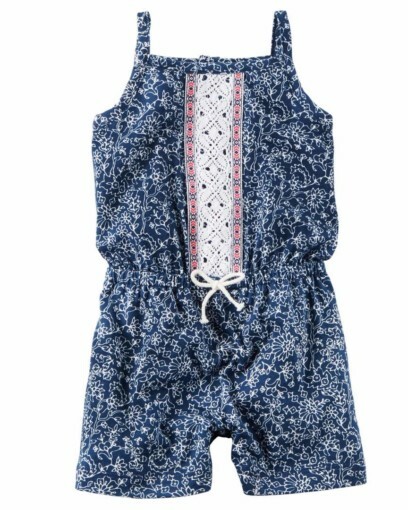 Plus, getting dressed is a snap with an easy 1-piece! 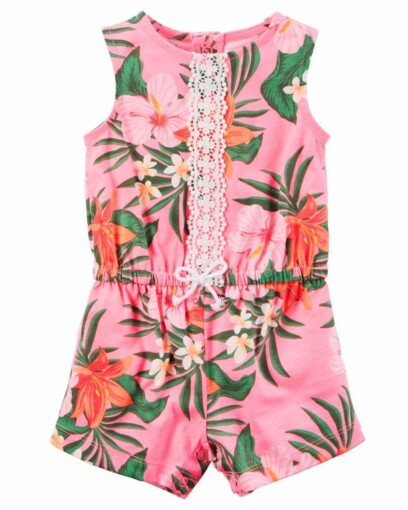 Soak up the sunshine in an easy-on one piece. 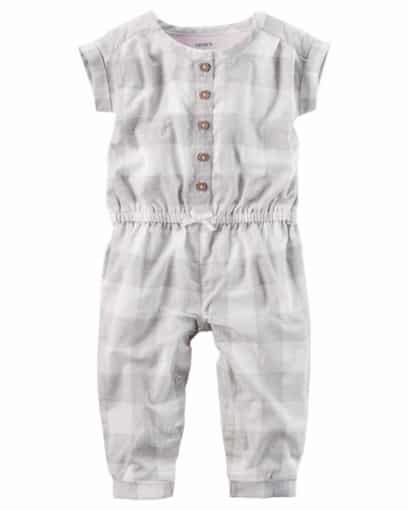 Lighweight and breezy, pair this crinkle romper with strappy sandals for instant style.